We save the transcript based on your preferences. If you choose to keep a conversation private, we will not record or save the transcript. If the conversation is not set to be private, the group chat transcript will show in the group chat as users scroll up. 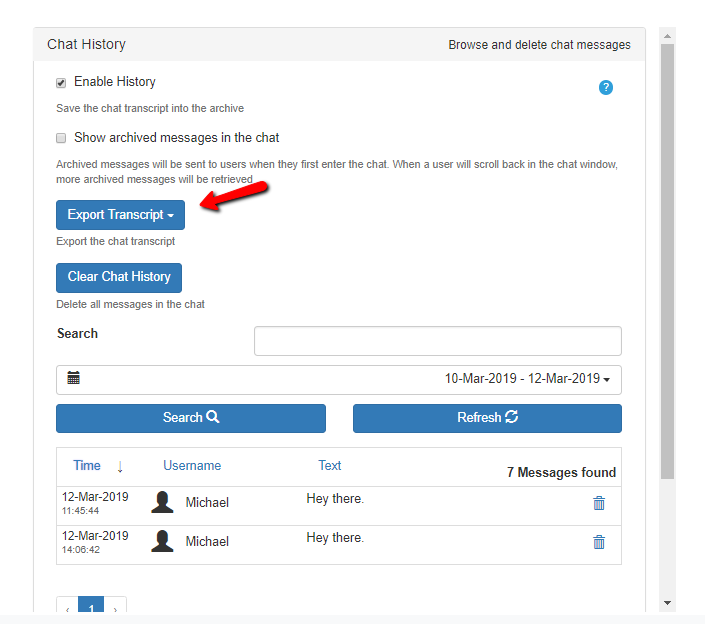 This transcript can be exported by the group chat owner into a HTML file from the admin page or directly from the group chat. Previous postWho can export the chat history? Next postCan I send private messages to other users?